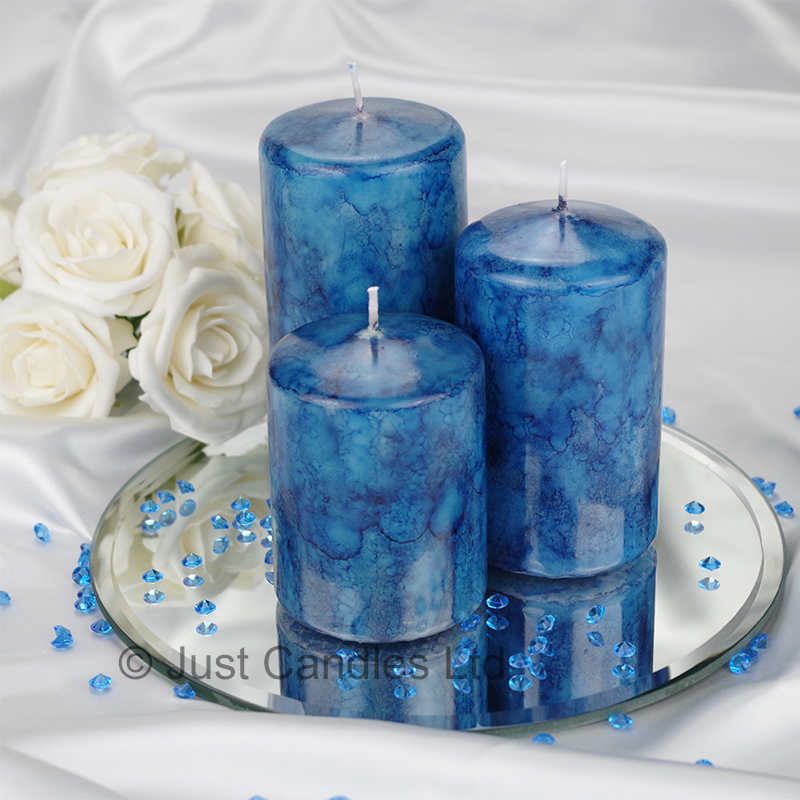 This beautiful marble effect pillar candle wedding centrepiece is sure to impress your guests, we have many colours to choose from to match your wedding theme. Glass mirror plate and matching coloured acrylic scatter table diamonds optional extra. Discounts are available for multiples. Please email us for more information. 1 - 60mm x 120mm pillar candle with a burn time of 33 hrs. 1 - 60mm x 100mm pillar candle with a burn time of 28 hrs. 1 - 60mm x 80mm pillar candle with a burn time of 22 hrs. Please see our other products for alternative colours.